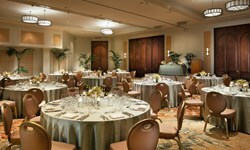 Moana Surfrider, A Westin Resort & Spa - Wedding Venue and Packages | The Future Mrs.
Only the "First Lady of Waikiki" combines the tradition of the past with a renewed modern style. The Moana Surfrider, A Westin Resort & Spa, defines both local and destination weddings and breathes life into a simple romantic getaway. Imagine an oceanfront ceremony as the Hawaiian sun sets into the glittering Pacific...an intimate reception in a turn-of-the-century ballroom...followed by a romantic honeymoon in a world of passion. 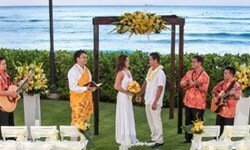 If you have ever dreamt of a wedding in Hawaii, this is the place. Our catering staff will attend to your every need, and provide several options for your dream wedding ceremony location - including the magnificent, oceanfront Diamond Lawn, and our romantic open-air Roof Garden and lanais. 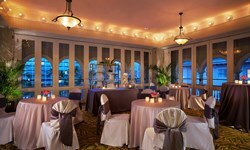 We offer an equally memorable selection of wedding reception sites and menu options.